We take great care in the way our products are designed and hand-made, ensuring that the quality of materials and finishes are of the highest standard at all times. We make furniture to last - lasting style, lasting quality, lasting comfort and experience. All products are intentionally designed and constructed to a high contract specification and going beyond the British Standard for general domestic furniture. All frames are engineered and built to high contract specification. Frames are made from solid birch timber and are glued and screwed. All timber is sustainably sourced from managed forests and is FSC certified. All CMHR foams and all other fillings and paddings are selected for resilience and comfort and meet British Standards. All our products comply with the Furniture and Furnishings (Fire) (Safety) Regulations for general domestic use and contract use to crib 5. We source the best fabrics and leather from leading U.K and international textile brands such as Camira Fabrics, Bute, Kvadrat, Warwick, Bridge of Weir, Yarwoods. We only select and use fabrics that perform above 30,000 rubs on the Martindale rub test for general wear. The British Standard for General Domestic Use is 20,000. We use fabrics for contract use with a minimum of 40,000 rubs in line with the British Standards for Contract Use. our key environmental principles and values are what we believe in. Our environmental criteria and actions is how we apply it. Together they are embedded in our Future-Thinking sustainable policy. All we create must be good design and good design is environmental design with a difference that makes a positive difference for a sustainable life. Good design remains in our nature. Second nature – we spread the word, in-still in others and influence all those we work with to embrace a second nature attitude towards protecting the environment encouraging small steps to big change. Design nature – within every project and product brief we apply the most appropriate Future-Thinking environmental criteria as part of our process ensuring that we create an environmental solution that always goes that two step further without compromise. Lasting nature – we design and build for longevity, durability and most importantly for life and lovability, it’s what we call the Teddy Bear Factor. Community nature – we love working in collaboration with communities wherever they are in the world. It’s our way of always putting something back helping to inspire nurture and grow for a creative, economic, social and cultural sustainable future. Waste-not nature – we see the value in waste where others do not. We look to change the perception of waste as raw materials. We don’t look to create waste we simply create with it. Our aim is zero waste. Beyond second nature – we strive to be environmentally compliant engaging with organisations such as Sustain Wales, Envirowise, University of Wales Centre for Research into the Built Environment, Design Council Sustainable Strategies Initiative with the CBI and DTI. All prices are inclusive of Value Added Tax at the current rate. Delivery and installation is not included and is quoted on an individual basis. attic 2 reserves the right to modify products at any time without prior notice in relation to future sales. Dimensions and specifications are as accurate as they can be, however, small discrepancies may occur. Ownership of goods will pass to the purchaser when full payment is honored. Invoices will be sent on dispatch of goods. All goods are invoiced at prices ruling at date of dispatch. We reserve the right to alter prices without prior notice. Please advise our sales team of delivery access and routes including any doorways, stairs, lifts, hallways etc. that will need to be negotiated during delivery. It is the customers responsibility to check the dimensions of all access points and to ensure all routes from the public highway to the exact place of delivery are free of any obstructions and considered safe. If our delivery staff feel that access is unsafe they may refuse delivery until access is clear and you will be charged for any cancellations or delays to delivery. Delivery is normally between 8am and 5pm, Monday to Friday. If you wish to delay the delivery of your order beyond the confirmed date you must notify us in writing at least 10 working days prior to delivery. Failure to do so may result in storage charges if delivery is postponed for longer than 7 days. If you are unable, for whatever reason to take delivery of your order on the confirmed delivery date, we reserve the right to charge you for storage and/or delivery costs. Storage is charged at a daily rate for every day after the confirmed delivery date. We will endeavour to fulfil your order by the agreed date set out in your order confirmation but in the unlikely event we delay your order we will not be held liable for any loss or damage suffered by you through any reasonable or unavoidable delay in delivery or re-scheduling of delivery. Our standard delivery rate is to one designated ground floor location and does not include installation. If you require our furniture installation service please discuss this with us. Please ensure that all goods are checked on delivery and that care is taken whilst removing the packaging. We require you to sign a delivery form once the product is inspected. attic 2 will not accept liability for any goods damaged once accepted by the customer. - Orders cancelled within 5 working days after attic 2 receives your order acceptance and deposit : no charge and deposit is refunded in full. - Orders cancelled after the 5 working days have lapsed after attic 2 receives your order acceptance and deposit: 50% deposit is non-refundable and 75% of the total order value will be charged. Subject to your statutory rights, products that are made or altered specifically for you, may not be returned nor will we provide a refund, unless they are defective or have been accidentally damaged by us during delivery. In the unlikely event that there is a defect with our furniture our technical team will inspect the furniture to determine the cause. We will aim to repair or replace at our discretion any furniture item or component manufactured or supplied by attic 2 which is defective as a result of sub-standard materials or poor workmanship. 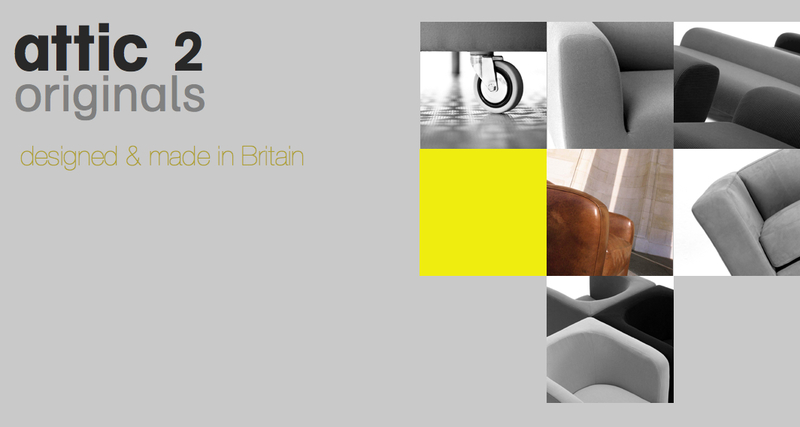 Furniture that is defective for any other reason such as accidental damage, abuse or misuse is not covered. Any repairs or replacements will be quoted for and charged at the going rate. attic 2 is fully compliant with the Data Protection Act 1998 and does NOT disclose buyers' information to any third parties. Cookies/Sessions are used on this website to keep track patterns of behaviour. We are committed to protecting your privacy. We will only use the information that we collect about you lawfully (in accordance with the Data Protection Act 1998). We may use technology to track the patterns of behavior of visitors to our site. This can include using a "cookie" which would be stored on your browser. You can usually modify your browser to prevent this happening. The information collected in this way can be used to identify you unless you chose to modify your browser settings. We will never collect sensitive information about you without your explicit consent. The information we hold will be accurate and up to date. 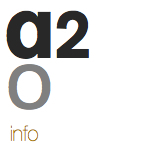 You can check the information that we hold about you by emailing us at studio(at)attic2.co.uk typing ‘Data Protection’ in the Subject heading. If you find any inaccuracies we will delete or correct it promptly. The personal information that we hold will be held securely in accordance with our internal Security Policy and the Law. If we intend to transfer your information outside the EEA (European Economic Area) we will always obtain your consent first.